GMA meets the 2nd Thursday of each month at 7 p.m. at the American Legion in Goldendale. We welcome you to join us! We are Goldendale Motorsports Association (GMA). We're a nonprofit organization dedicated to the joy of anything with wheels. 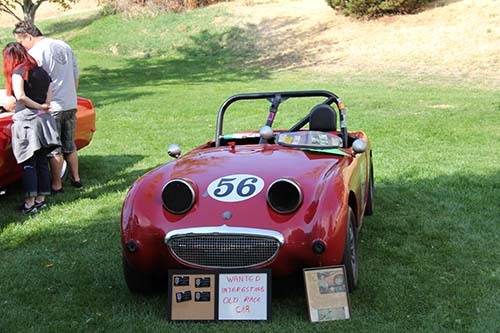 We have members with hot rods, race cars, vintage collectible cars and trucks, motorcycles and tractors. We also have members who don't own anything "special" but just enjoy being involved. 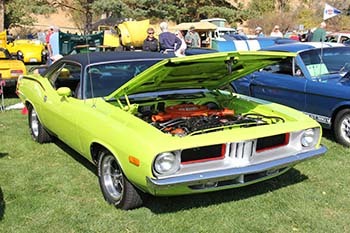 We sponsor two car shows each year: the Community Days Show 'n Shine, and the Concours de Maryhill. 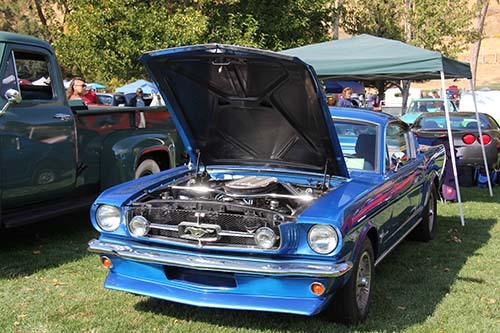 Our members enjoy participating in various activities including Cruise the Gorge, other car shows, swap meets, car races and motorcycle races. 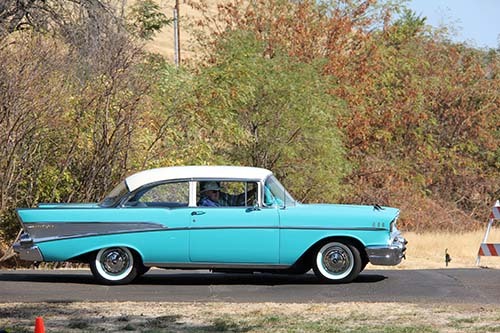 We enjoy cruise-ins and community get-togethers. We just plain have fun! Club jackets, shirts, sweatshirts and hats are available for a reasonable price. In addition, we give a $500 scholarship each year to a graduating senior from Goldendale High School to further their education and are sponsors of Youth Soccer and Little League. We also make periodic donations to requesting groups. We have a business meeting the second Thursday of each month at the American Legion, 108 N Grant Ave. in Goldendale. Join us for dinner at 6 p.m. and stay for the 7 p.m. meeting. As a member, you'll not only be involved with a bunch of great people, you'll also receive discounts on purchases from The General Store, Uncle Tony’s Pizza, The McCredy Co., Les Schwab Tire Center, Freedom Automotive, Goldendale Tire Center, Ayutla’s Mexican Restaurant, Bake My Day, Goldendale Auto Supply and Carquest. Why not take the time right now and fill out the attached application. It's just $20 each year in dues which covers yourself and your family (two adults and minor children). That's less than 6¢ per day. Make sure to include your e-mail to sign up for the newsletter. You can mail the completed application to GMA at P.O. Box 481, Goldendale, WA 98620 or bring it to our monthly meeting. You'll be glad you did and we'll be happy you joined our GMA family. If you have any questions, call (509) 250-0194 or email goldendalemotorsports@gmail.com.